This beautiful new quilt is offered as a fall class. The fabrics are from a new line from Wilmington Fabrics. 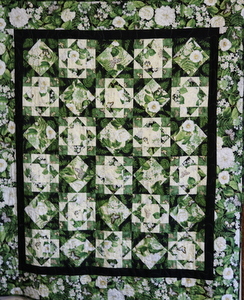 The quilt measures 56″ x 64″ and is made with greens, beiges and black .